The*Crash Bandicoot – Deluxe Crash with Jet Pack 7” Scale Figure is available now directly from the NECA eBay Store and the NECA Amazon Store. 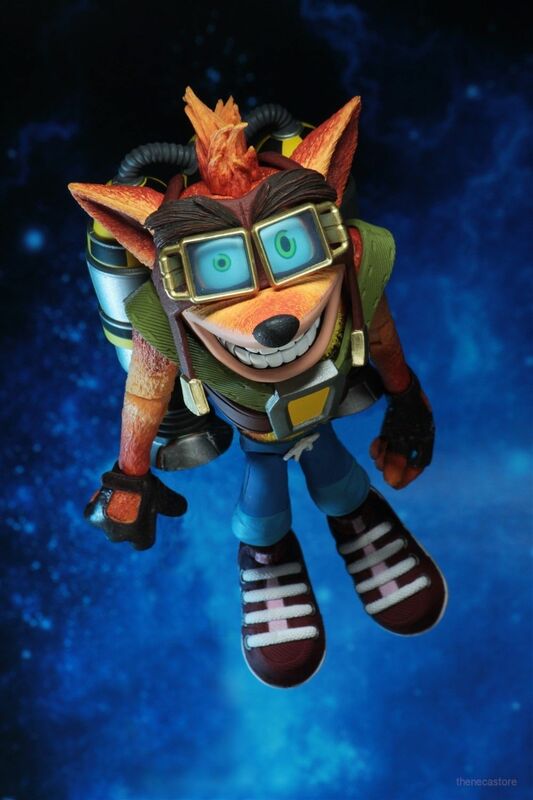 The figure is based on Crash’s appearance in Crash Bandicoot 2: Cortex Strikes Back, complete with a new head sculpt wearing goggles and a helmet, and the jet pack. The figure is priced at $27.99 plus shipping. The figure begins shipping to retailers on November 12th, and should hit stores by the end of the month. NECA’s next release in the eagerly anticipated line of Crash Bandicoot action figures is a deluxe Crash &#187; Continue Reading. The post Chrash Bandicoot with Jet Pack Available Now via NECA appeared first on The Toyark - News.